I became interested in our family history during my childhood when I read the Descendants of Colonel John Emery Adams by Elizabeth Adams Ebbott. That book detailed much of my paternal grandmother’s genealogy. In 2004, I discovered that my cousin had posted the Tollefson family tree on a GEDCOM hosting site. 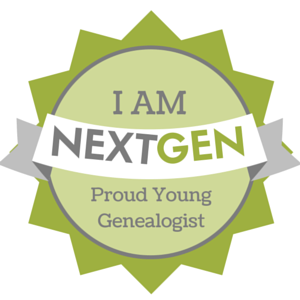 I started researching more of my family tree using Legacy Family Tree Maker. I eventually posted my GEDCOM online at genealogy.tollefson.us using phpGedView software to manage my tree. Much of my early research was done by searching for other family trees and finding connections to mine. I started using Family Search and Ancestry to look at census documents. Most importantly, I sat down and talked with my mother and my grandmother about their families. I am often receive feedback through this website asking if we are related, but the majority of the time the answer is no. If you have not researched Norwegian surname assumptions pre-1900, then you need to stop right now and do that. I realized that the general research was not the way to do genealogy. I now practice the Genealogical Proof Standard (GPS). Using GPS, each ancestor needs to be proved. The problem is that recent information cannot easily be proved on paper, so actual knowledge of who your parents/grandparents/great-grandparents are is really important. In genealogy, you always need to start with what you know and see if you can fill in the unknown.